Mimosa Acoustics is dedicated to bringing you equipment that improves and simplifies hearing screening and diagnostics. 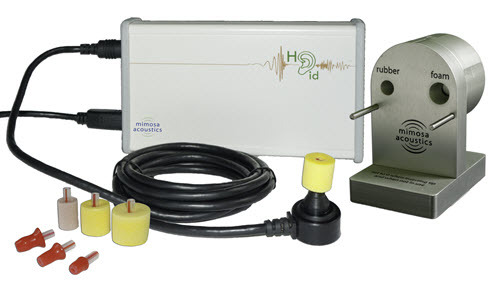 OtoStat and HearID both allow you to test middle- and inner-ear status quickly and easily with the same probe fit. Our aim is to give your patients the best science has to offer in a user-friendly clinical package. Differential diagnosis of conductive hearing loss. Identify middle-ear effusion in children. Identify conductive hearing loss in infants.